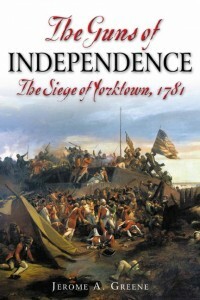 Free Book Giveaway: The Guns of Independence on Independence Day! Be the first person to comment on this blog entry (who meets the requirements below) and you will win a 100% free, 100% new copy of the book. Please note that I said *comment*, not send an email or use the Contact Us form or any other form of communication with me other than *commenting*. Contestants are limited to those people who can have the book shipped to a location in the lower 48 United States. No exceptions. Shipping will be via media mail. No exceptions. The first comment to appear *may* not be the winner because I have to approve comments for anyone who hasn’t commented here before. In order to be fair, I will announce a winner after approving comments first. The winner’s name will appear at the end of this blog entry when a winner has been determined. My mom has an interest in the Revolutionary War and I think she’d like the book. Hopefully I’ll be first. You are first! We have a winner! I will be contacting you via the email you provided in your comments to get your mailing address. The contest is now CLOSED!